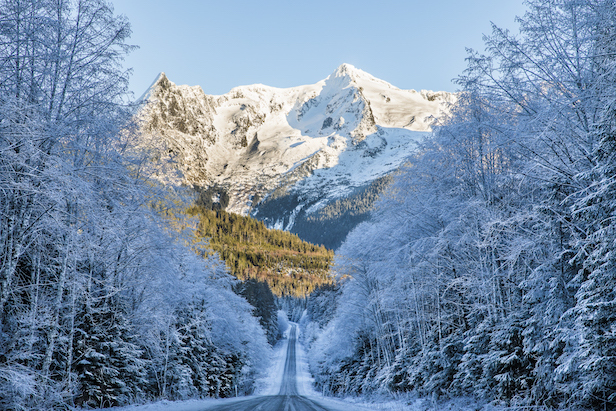 Congratulations to Bryce Anderson of Juneau, Alaska, for winning Country’s 2018 Winter Photo Contest. The “Country’s 2018 Winter Photo Contest” (#059) is sponsored by RDA Enthusiast Brands, LLC, the publisher of Country Magazine (“Sponsor”). How To Enter: The Contest begins at 9:00 am Central Time (CT) on January 26th, 2018 and ends at 9:00 am CT on March 23rd, 2018 (the “Deadline Date”). All submissions must be received by 9:00 am CT on the Deadline Date. Sponsor’s computer is the official time-keeping device for the Contest. All submissions received after 9:00 am CT on the Deadline Date will not be eligible to be entered into the Contest. Notification of Grand Prize Winner: If you are the Grand Prize Winner, you will be notified via phone, email, and/or postal mail on or about April 13th, 2018. The Grand Prize Winner may be required to sign an affidavit of eligibility and a liability release and return within 2 weeks of receipt of notification. Any potential winner who does not comply with this requirement or cannot be easily located using the information provided in the entry may be disqualified and an alternate winner may be selected. In the event the winner is a minor in his or her place of residence, all required documentation must be signed by parent or legal guardian. Except where prohibited by law, the winner agrees to grant to Sponsor all right, title and interest in the submitted entry and to sign a release giving Sponsor full rights to use the winner’s name and likeness for Contest related advertising and publicity, including such usage on the internet. Prizes: 1 Grand Prize winner will be selected to receive a check for $250.00. Prize is not transferable and cannot be substituted or assigned by the winner, unless prohibited by law. Sponsor reserves the right to substitute a similar prize of equal or greater value in the event that the stated prize cannot be awarded for any reason. All taxes, if any, are the sole responsibility of the winner. Sponsor will not be responsible for any loss, liability or damage arising out of the winner’s acceptance or use of the prize. The prize is guaranteed to be awarded, assuming a sufficient number of qualifying entries are received. The total approximate retail value of all prizes in this Contest is $250.00. Winner List/Consumer Information: If you do not want to receive future sweepstakes or skill contest postal mailings from Sponsor, specify your request in writing to: Country’s 2018 Winter Photo Contest (#059) Mailing List, P.O. Box 3125, Harlan, Iowa 51593-0191. To receive a list of winners, write to Country’s 2018 Winter Photo Contest (#059) Winner List, P.O. Box 50005, Prescott, Arizona 86301-5005. Winner list request must be received within one year of the Deadline Date.